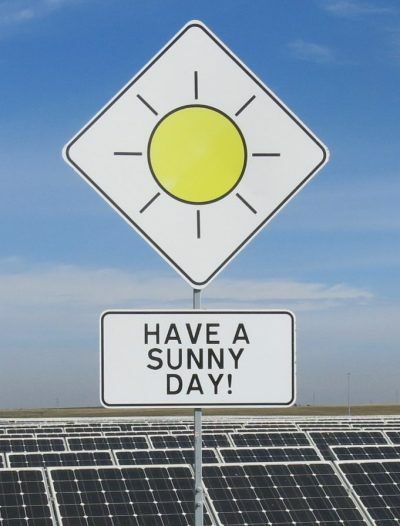 The Mississippi River reached 47.87 feet (14.59 meters) in Memphis, Tennessee, on May 10, 2011, according to the Advanced Hydrological Prediction Service (AHPS) of the U.S. National Weather Service. 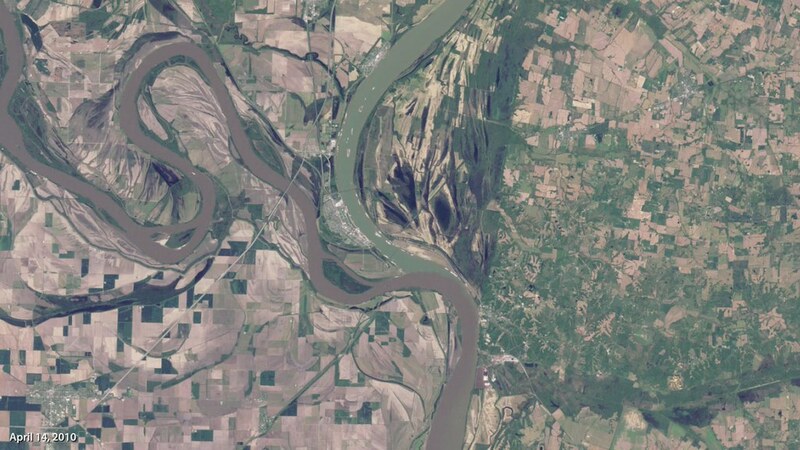 The photos and videos below show just how far-reaching the flooding of the Mississippi River is. A height of 47.87 feet (14.59 meters) is the highest water level for Memphis since 1937, but unlike back then, an effective flood-control system has helped save most residents from harm. The top image was taken by the Thematic Mapper on Landsat 5 on May 10, and the bottom image was taken on April 21, 2010. 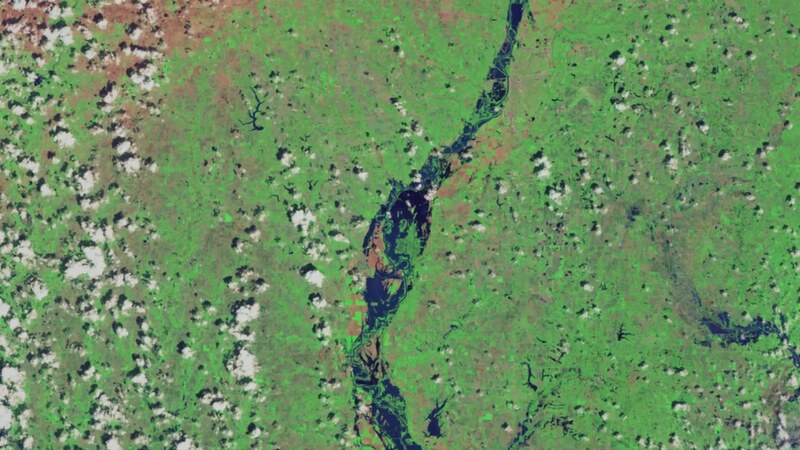 The image clearly shows the muddy waters of the Mississippi pushing over the banks both east and west of the normal river channel, with flood waters spanning the distance between Memphis and West Memphis. 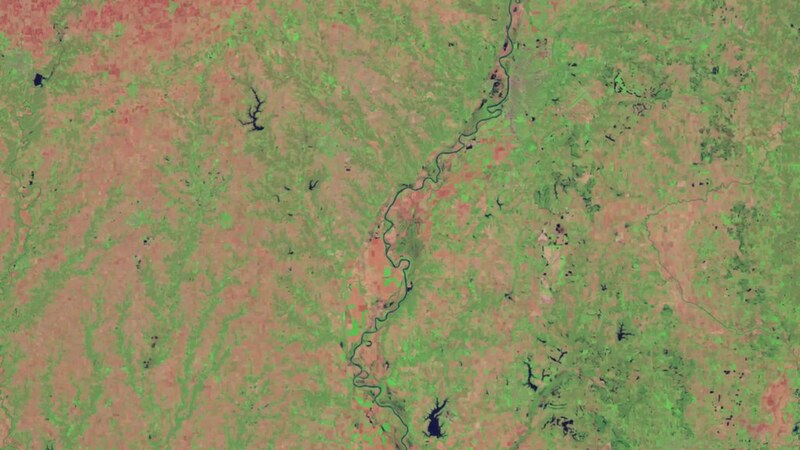 The image above was taken on May 10, 2011, by the Landsat-5 satellite, and depicts the Mississippi River from Cairo, Illinois to Memphis Tennessee. The following videos are courtesy of the NASA Goddard Space Flight Center and depict various scenes following the Mississippi over the past few days. 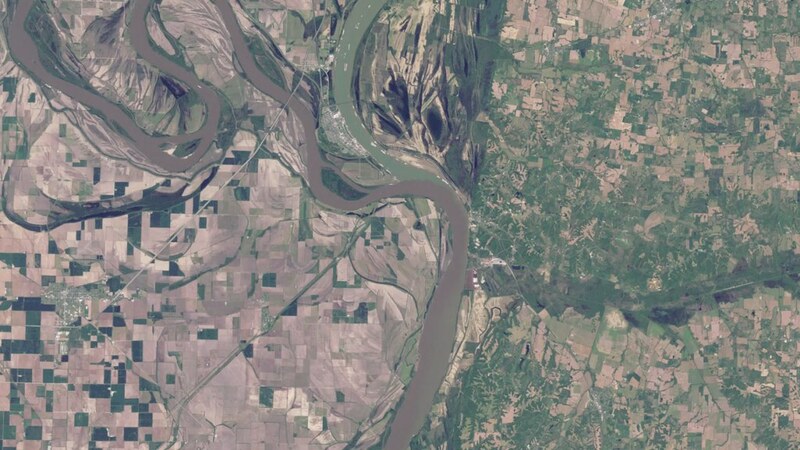 This NASA flyover animation shows the flood scene from May 3, 2011, flying down the Wabash River to the Ohio and thence down to Cairo and the Mississippi Floodway there. 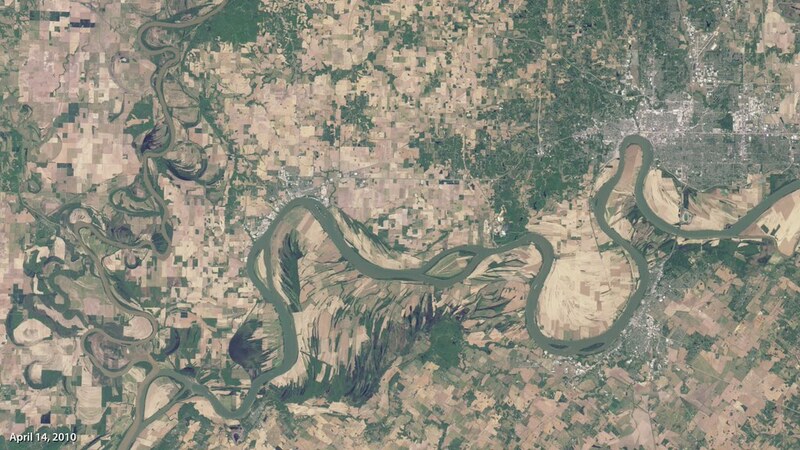 This NASA flyover animation shows the pre-flood scene from April 14, 2010, flying down the Wabash River to the Ohio and thence down to Cairo and the Mississippi.